Having seen how wonderful helicopter (Sycamore) seeds look when painted I just had to get the glitter out and make some beautiful helicopter seed decorations for my Christmas tree. I couldn’t have imagined a better pairing. The sycamore seeds look simply stunning against the lush green of a real Christmas tree. The nobbly seed fruit mirrors the knobbly end of the tree branches and picks out the branch veining whilst the glitter catches your eye against the backdrop of lush green pines. All you need are some dried out seeds, strong PVA glue (tacky white glue), fine glitter (don’t use super fine as you want some texture to show) and green cotton. 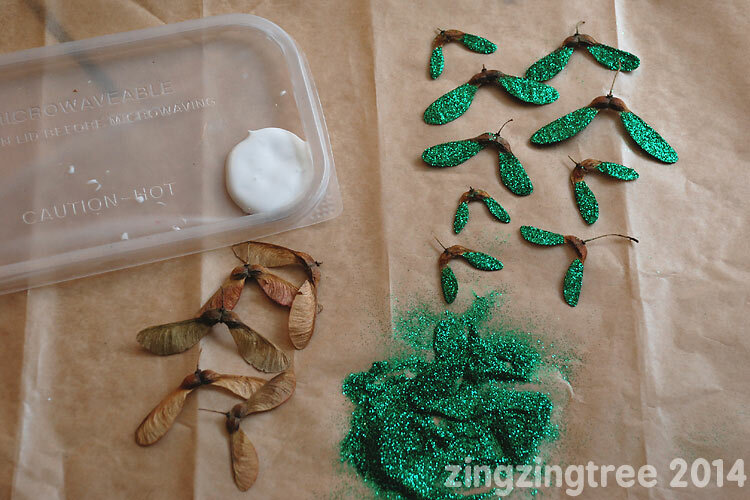 Paint both sides of each seed wing with a good coat of glue and then sprinkle your chosen coloured glitter over them and set to one side to dry. I like to use baking paper to collect the glitter on as it’s less static and easier to pour the glitter back into the pot after use. 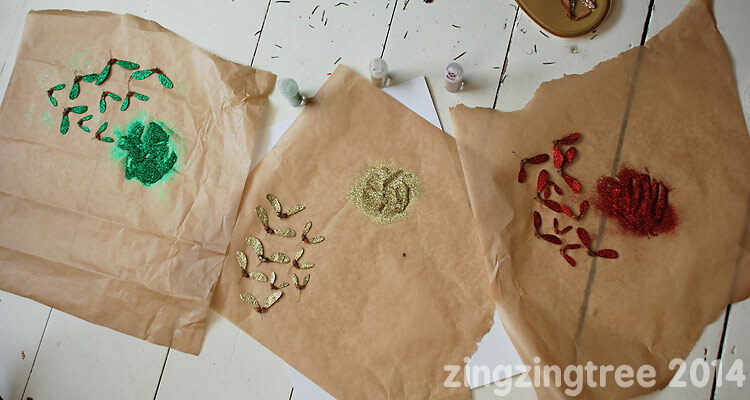 Use a different piece of paper for each glitter colour. When the glue has dried cut lengths of green cotton to make hanging loops with. attach them to the seed fruit with a blob of glue. You’ll find that one side of the fruit has a more defined groove than the other which is perfect for laying the cotton in. I add the glue first and then gently sink the cotton through it using a cocktail stick. 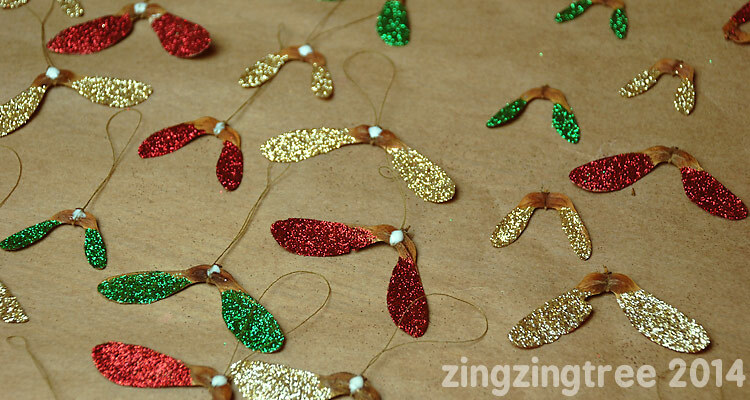 Wait until the glue has dried clear before hanging them on the tree. What a fun idea. They look beautiful! oh goodness Anthea, they are beautiful! Such a beautiful ornament! Love this idea! SO MUCH PRETTY! Love those! 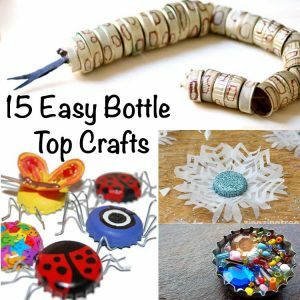 What an amazing idea – they are SO pretty and what a lovely craft activity too. I love these – we have two Sycamore trees in the garden and I never know what to do with them! Adore these: natural beauty + glitter, what more could one ask for?! I’m kicking myself. Emmy collected some of these and I threw them away. That’s such a fun and beautiful idea! 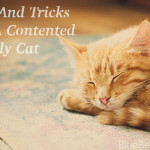 And it’s simple and inexpensive too! How utterly beautiful! 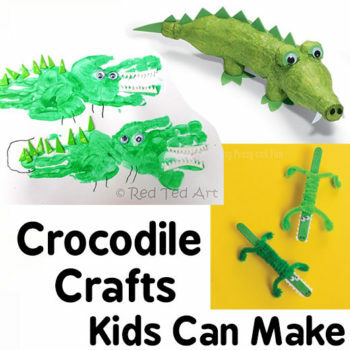 And so simple even for little ones to make. What a simple but brilliant idea. 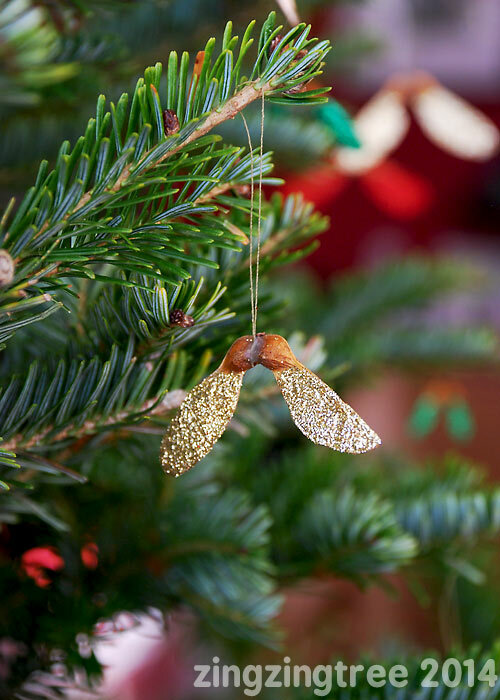 I’ve never thought about using sycamore seeds as decorations. Thanks for the tip! Oh I love these, what a brilliant idea! Very inspired! What a nice Christmassy craft. They look great on your tree.